Your wedding is likely to be one of the important and special days in a couple’s lifetime together. In the past, weddings were organized by sending out invites and the big day was captured on film by a photographer to preserve the special day forever. Nowadays its becoming more popular to offer a website in addition to sending out invitations by post, the wedding website can be used to offer guests more information on how to reach the venue along with a Google map, timing of the ceremony and afterwards, the reception as well. 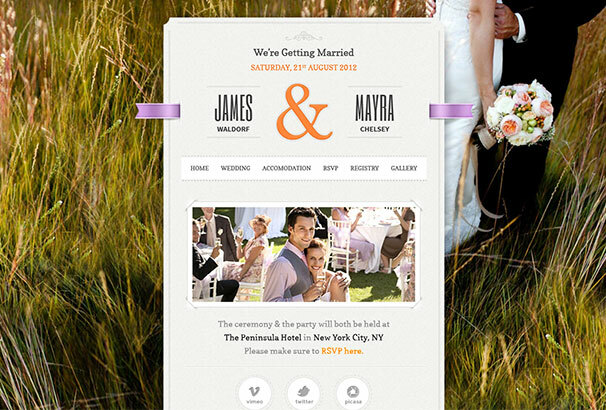 Wedding websites can also be used to let guests RSVP so you have an up to date list of who exactly is coming. 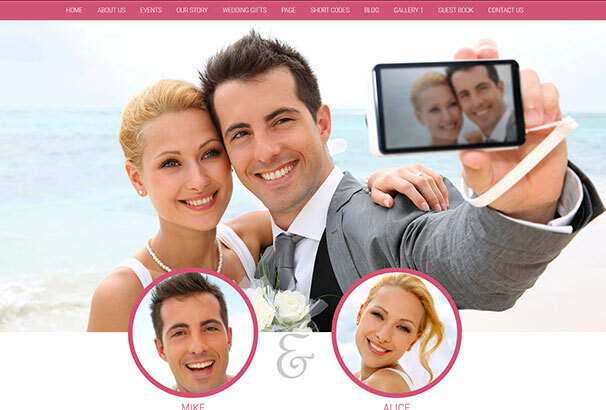 They can also be used to preserve the wedding by adding photos of the couple and from the day itself. WordPress is the perfect platform for someone looking to create a great looking and functional website, all you need is a free copy of WordPress itself and suitable hosting for the site and then your choice of WordPress Wedding Theme. WordPress allows you to create posts and pages and has a built-in media library which will allow you to upload images and videos and create galleries out of them – perfect for adding your wedding photos after the event itself. By choosing to use WordPress you build a beautiful website which will help guests before the wedding find your venue, but you can also leave it in place afterwards as a reminder of your special day. In this post we have hand-picked all the latest themes for weddings, these all have modern attractive designs and include the sort of functionality that you need to create the perfect website for you and your spouse. 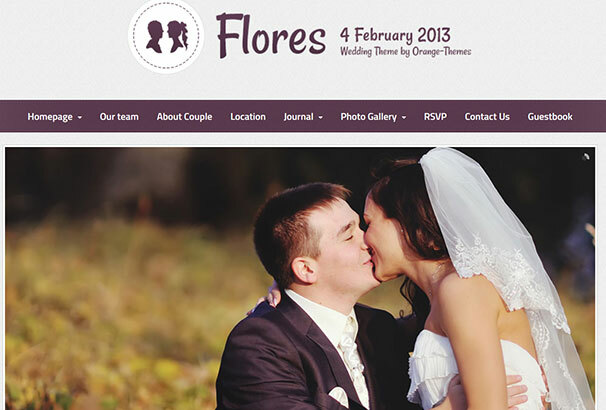 Wedding Engine is an elegant and understated WordPress wedding theme. Featuring an integrated timer to help you and your guests count down to your big day, this has all the tools to help you create a really functional and fun wedding site. This is our pick as the best theme due to its unique functionality especially for weddings, ease of use and it’s beautiful design. 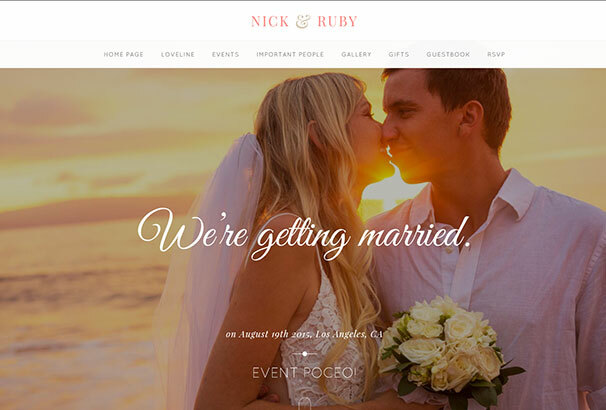 This quality WordPress theme is beautifully and minimally designed and comes packed with all you need to create a stunning wedding planning or similar business site quickly and easily. 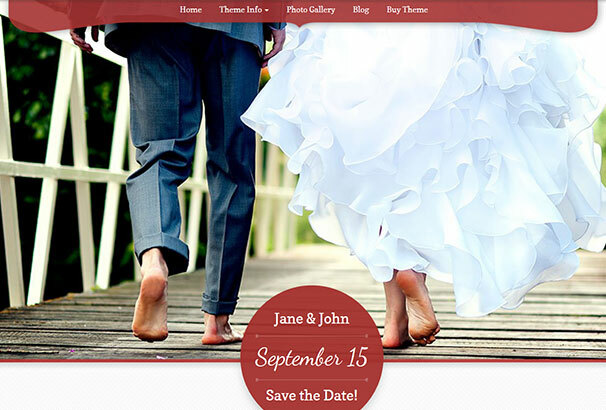 This quality theme by WordPress has all you need to create a fantastic wedding countdown site. Your guests will share all of your delight and excitement when you choose this beautifully designed theme. 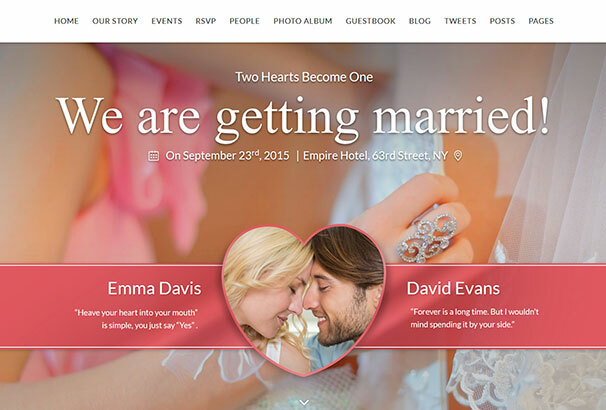 Wedding Day is a premium WordPress theme to help you highlight your most memorable moments in a stylish way. This great theme features various smooth transition effects and sliders, a beautiful photo album, dedicated pages for your wedding ceremony, date and location, RSPV form and a stylish blog. 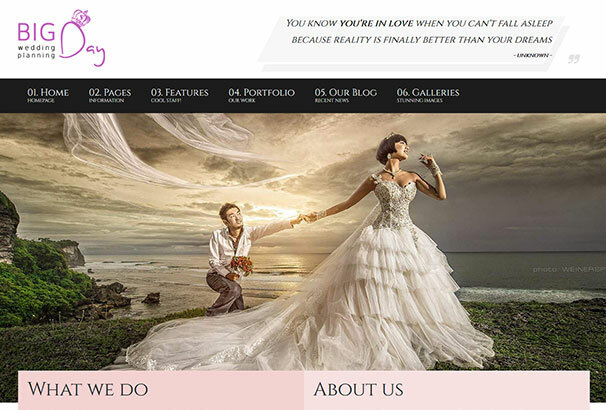 Bigday is a WordPress theme for wedding planners and all companies in the wedding industry. 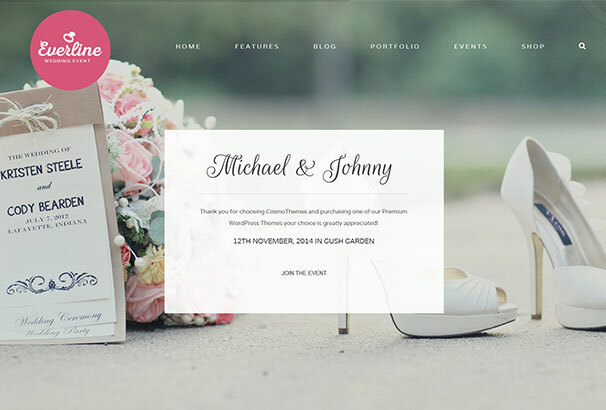 This amazing theme by WordPress has all you need to create a modern and functional website for your wedding planning business including portfolio, beautifully designed testimonials and many useful shortcodes. Split is a fully responsive WordPress theme built with a split scrolling feature, allowing you to create a cool splitting effect as you scroll from one row to the next. This is just one of the many fully flexible features available with this great theme. 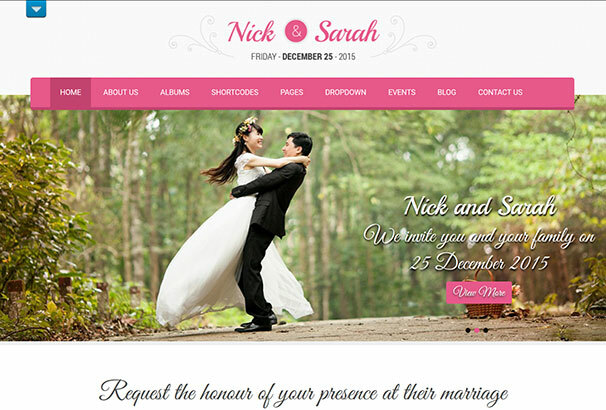 This premium wedding theme by WordPress includes great features such as photo albums, RSVP facility and contact form. Its fully responsive design means that it will display brilliantly across all devices. 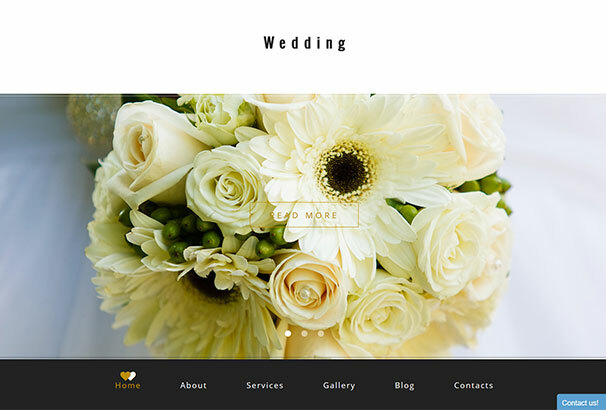 Wedding is an elegant WordPress theme to help you build a beautiful and effective wedding website easily. 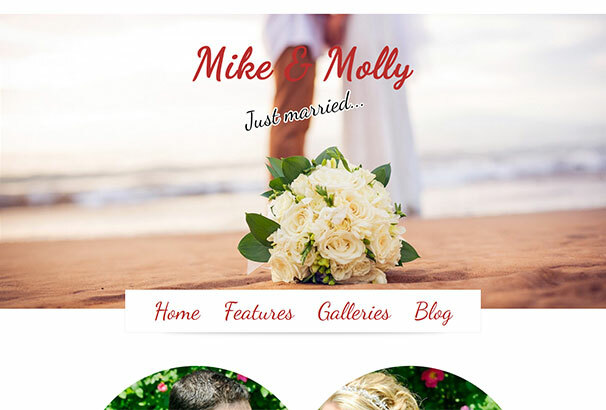 Share your wedding photos, galleries, videos and memorable moments quickly and easily with family and friends by using this stunning theme. 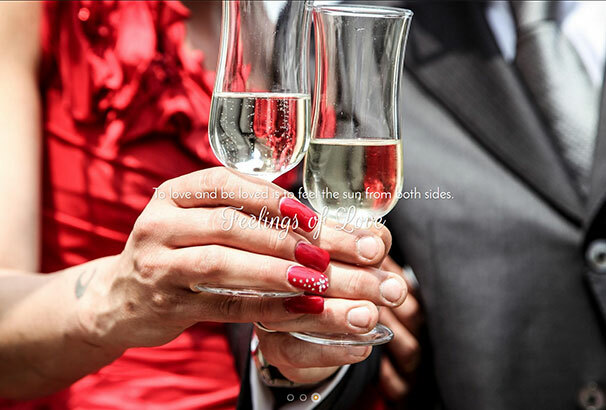 LoveBond is a clean and minimal wedding theme by WordPress which will enable to easily share your joy and excitement with family and friends online. Super simple to use and with complete with many quality features as standard, your very own bespoke wedding site can be just a few clicks away. This premium theme by WordPress comes with Themify’s drag and drop builder integrated as standard for absolute ease of use. 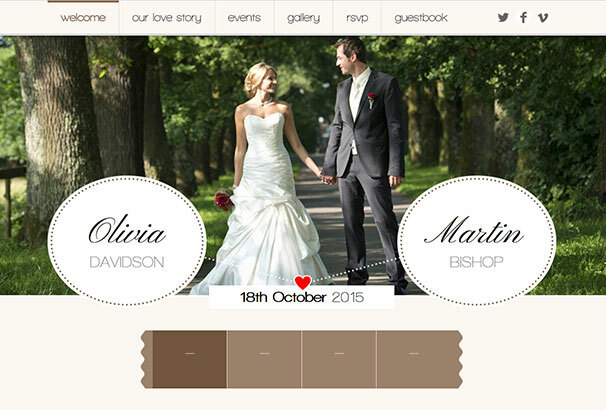 This fully featured theme will allow you to create a beautifully bespoke wedding site quickly and effectively. 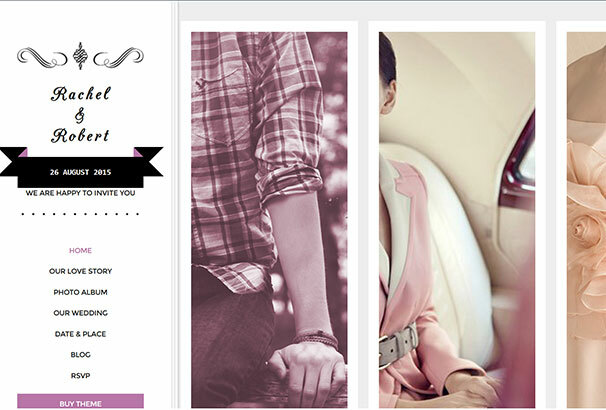 Together is an elegant and understated wedding theme by WordPress. Fully responsive in design, this will display beautifully across every device from iPhone to PC. 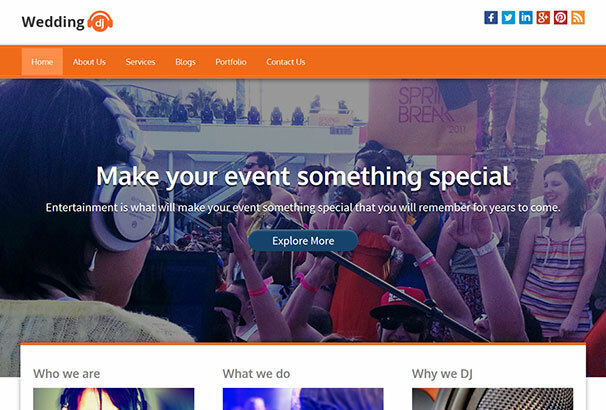 Wedding DJ WordPress theme is designed for wedding DJs bands but is also ideal for all types of music service provider wishing to create a standout online presence. Modern and contemporary in design, this site will help put your music services firmly on the map. 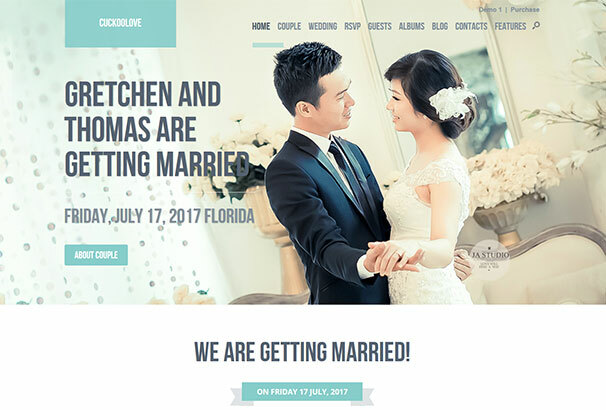 An elegant, single-page and fully responsive WordPress wedding the, Romantic Wedding comes complete with a full package of quality features. 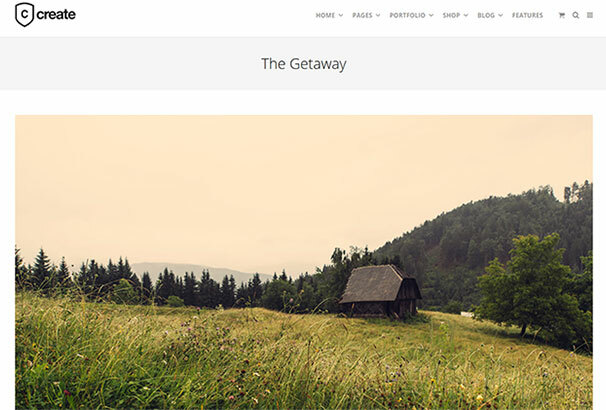 Fully customizable, this theme offers various page templates, custom post types, shortcodes and custom menu. Soho is a modern, clean and responsive theme that can be used by various creative companies and business websites. Quality features of this theme include the option to integrate a YouTube video or image slideshow. 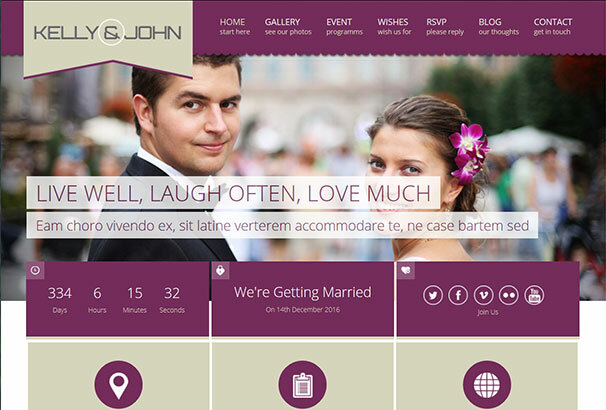 The appealingly retro design of this great WordPress wedding theme comes with a full range of great features. 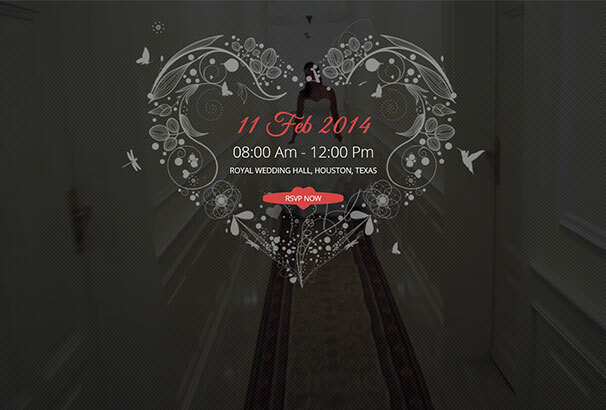 Share your love online ahead of your big day with the assistance of this fully responsive and retina ready theme. Built around the awesome open source page builder from SiteOrigin the create theme by WordPress offers you maximum control over page layout and content creation. 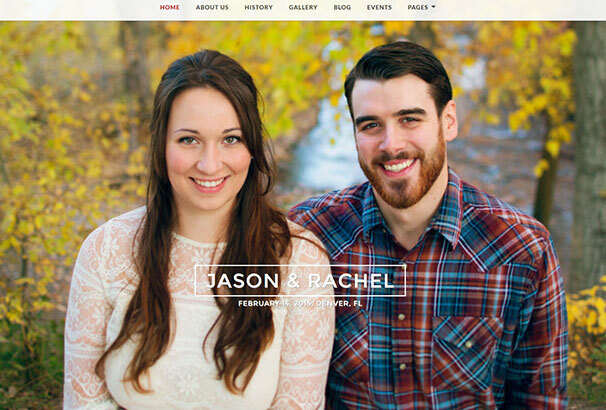 Simply create a stunningly effective wedding site with this great template. 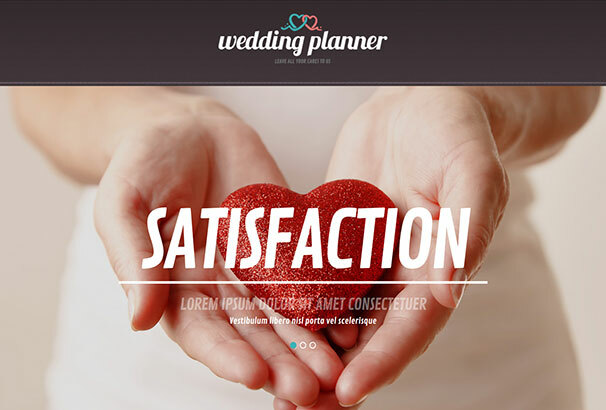 This quality WordPress theme has everything you need to create a functional and beautiful wedding planning or similar site. Sleek and sophisticated design elements and a full package of customizable features combine to make for a super user friendly experience. Fresh and funky in design, this great theme comes fully equipped with a full range of flexible options including back to top button, calendar, commenting system, crossbrowser compatibility, custom page templates, drop down cart, dropdown menu, favicon and Google maps. 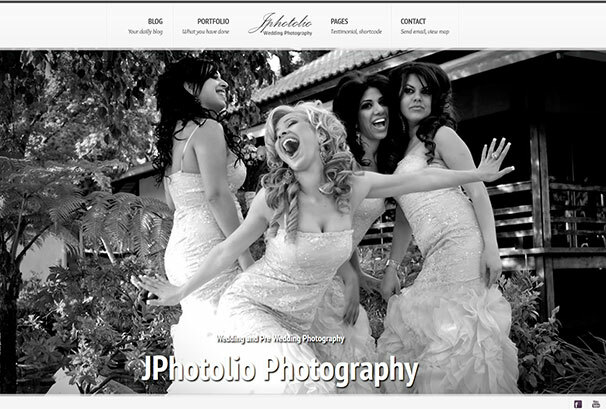 JPhotolio is a premium quality wedding photography WordPress theme. Designed with a minimalist feel and ultra clean lines, this theme will allow professionals to showcase their work to its very best advantage. 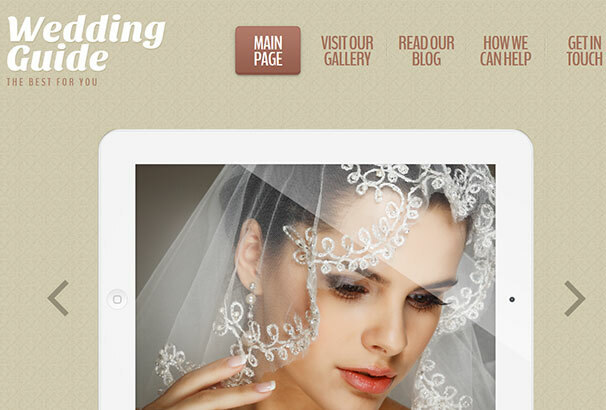 ‘Wedding’ is a beautifully responsive wordpress theme for weddings. Stun your family and fiends with this content rich high quality template which is contemporary in design. 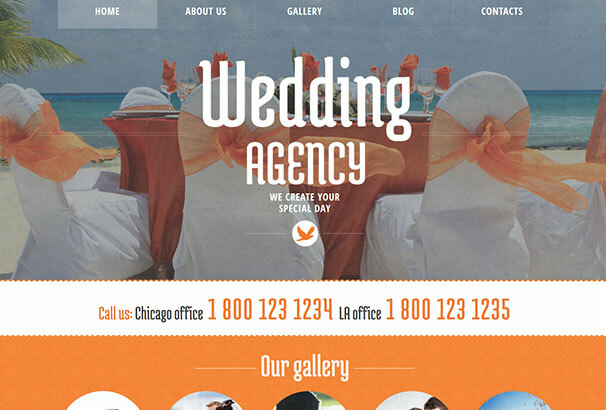 This wonderful WordPress landing page theme is suitable for the creation of various wedding related sites. Its fully responsive nature will allow it to display beautifully on each and every device. 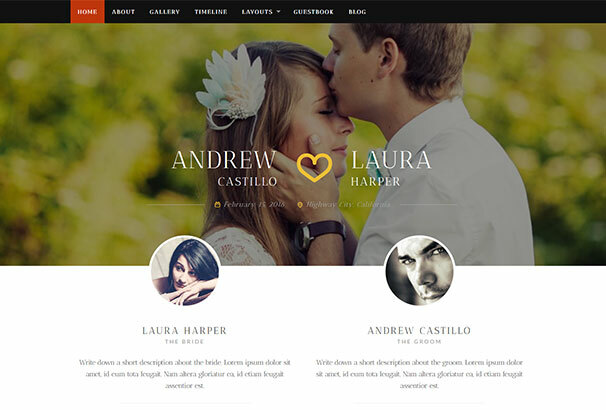 Match is an ultra modern and clean WordPress wedding theme. 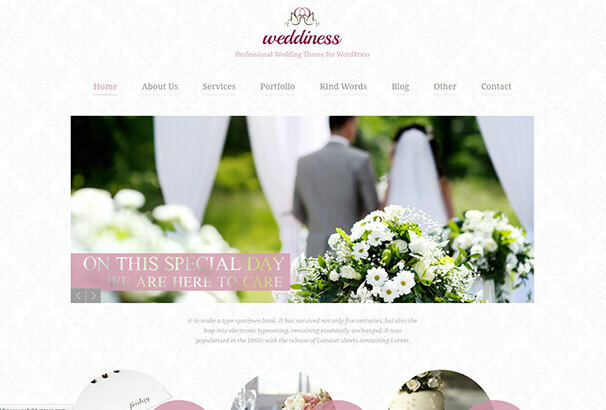 Manage and customize your very own bespoke wedding website or blog easily with this streamlined and functional high quality template. Vivah will appeal to creative types of all descriptions working in the wedding industry and wishing to increase their online presence. Perfectly suitable for use by wedding planners, florists and much more, its modern and simple design will have broad appeal. 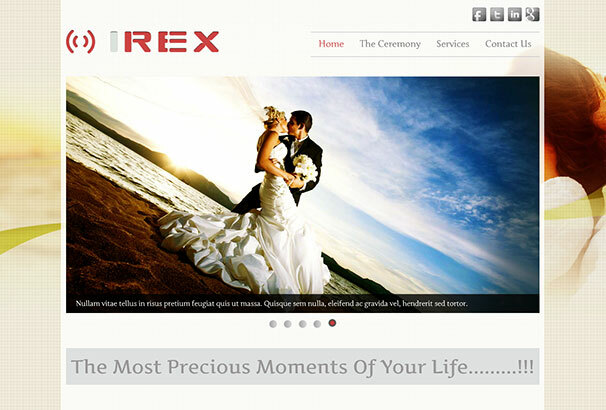 A super cool portfolio WordPress theme with a lot of integrated features to amaze you, Irex can be used for personal as well as corporate wedding centered websites. Contemporary typography and sleek design combine to make this theme one to watch. 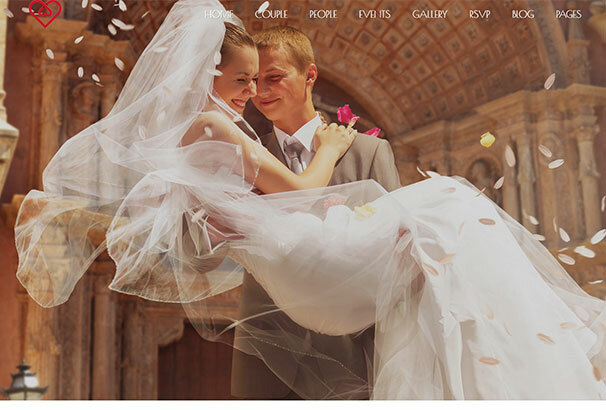 Eros is greek for love, and we just know that you will really love this premium quality wedding template. Its dreamy design and highly flexible design elements combine to make this a highly desirable wedding themed template. This very elegant wedding theme boasts a classic and fresh design and beautifully flexible features to help take your wedding business to the next level easily and effectively. This high quality WordPress theme has an appealingly bright and contemporary design with a definite retro feel. Start the countdown to the best day of your life in great understated style with the assistance of this fantastic theme. 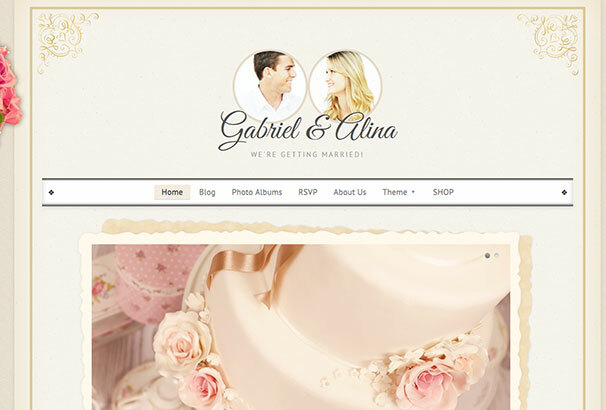 Any lovebirds planning to get married will see the appeal of this amazing WordPress wedding template. Spread the word far and wide with the help of this elegant and highly functional template. This fully flexible theme has 100% responsive design to ensure it will look its best on all devices. It counts custom post types amongst its amazing features and boasts an ultra modern and understated design. 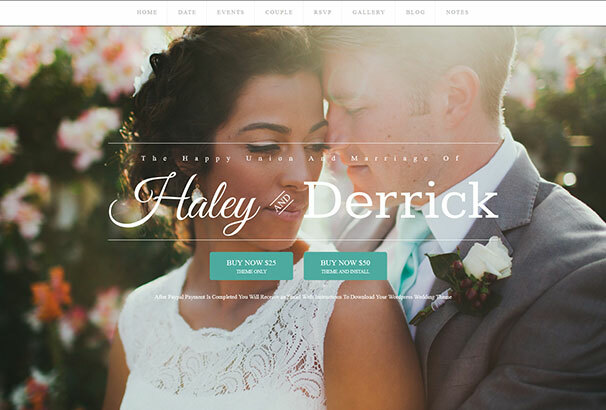 This pretty WordPress wedding theme has lots of useful features and many built-in options. An ultra advanced theme control panel with integrated homepage builder allows for super easy site creation. 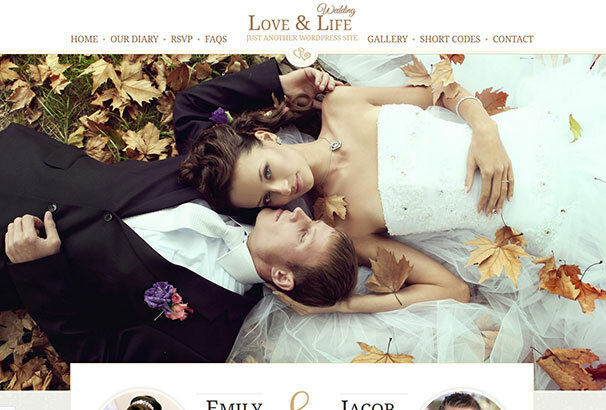 Love & Life is a premium WordPress theme for wedding and engagement related events. Its classically romantic design will provide the perfect backdrop for all of your nuptial needs. 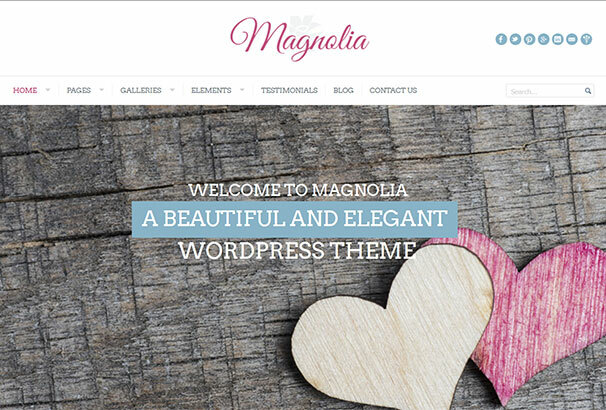 This premium WordPress theme has a definite vintage accent. Sleek and elegant, it has all the tools you need to build and manage a top quality wedding related site with the greatest of ease. This is a high quality wedding theme with a distinct retro vibe. Features including a visual composer, events calendar, revolution slider plugin combine to give you all you need to document your happiness ahead of your happiest day. 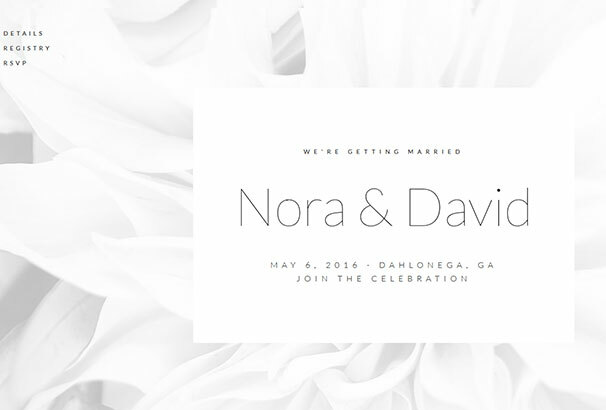 Nora is a professionally built WordPress theme for the build up to your special day. Manage your guest list, gift list and much more with the help of this stunningly understated and super clean theme. Simple, elegant, and sprinkled with diamonds, this theme will appeal to the most discerning of brides. 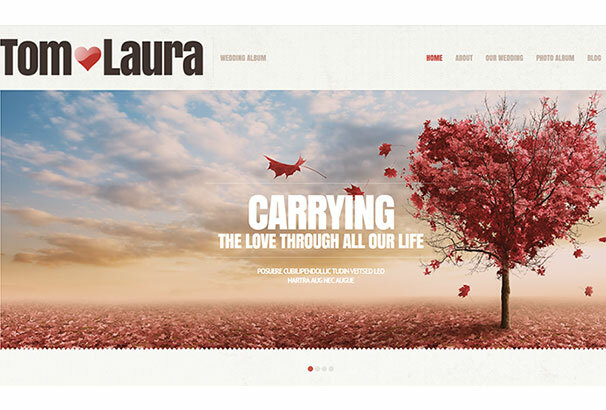 Fully responsive, this stunning theme will look amazing on all devices. Retro style has never been more desirable and this quality theme for weddings has it in abundance. With a full package of great features as standard, this could be your new perfect partner in creating your fantastic new wedding site. 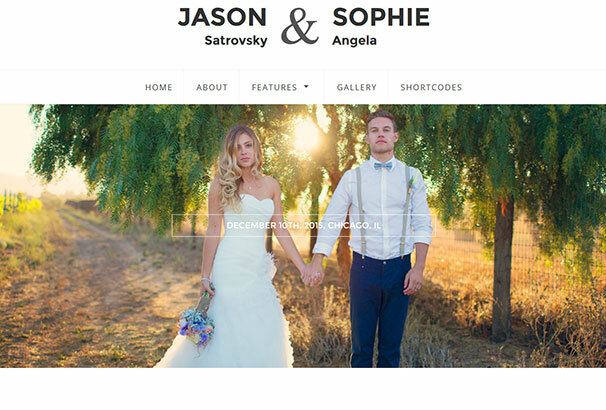 Fully responsive and retina ready, this great WordPress theme is fully equipped to help you create a great new wedding site with absolute ease. 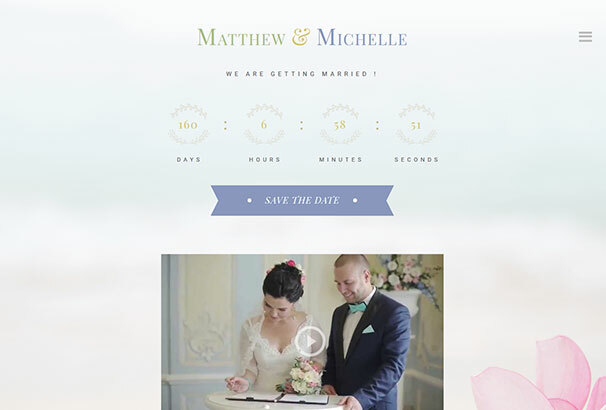 Get the countdown on to the happiest day of your lives with this quality theme. The Soul theme has understated elegance at its heart and gives you all the tools to create and manage a high quality wedding related website with absolute ease. 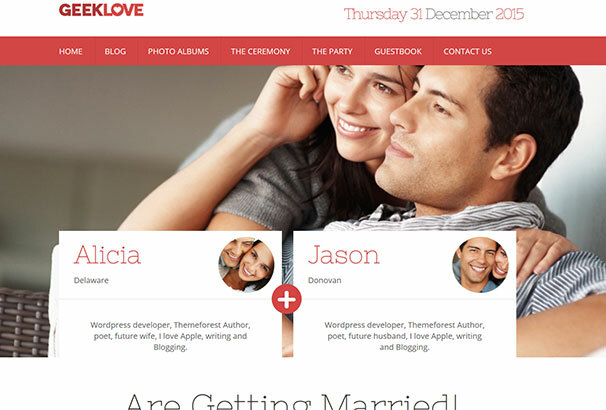 GeekLove is a beautifully modern WordPress theme for weddings. 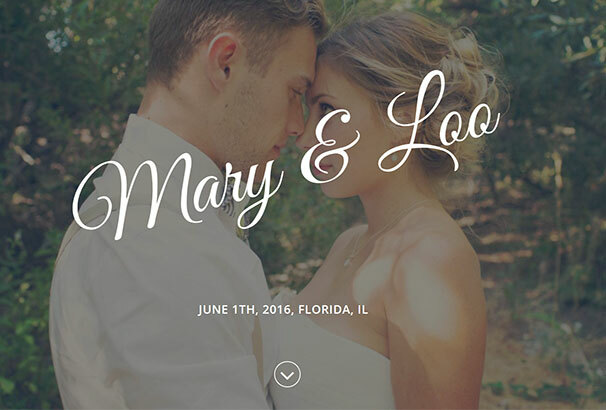 Clean lines and bold design elements combine with fantastic customizable features to give you all you need for a wedding site with impact. 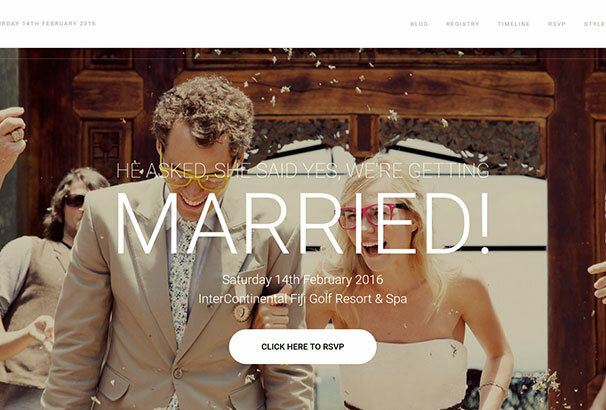 Merit is a superior quality wedding theme by WordPress with a stunningly pared back appeal. 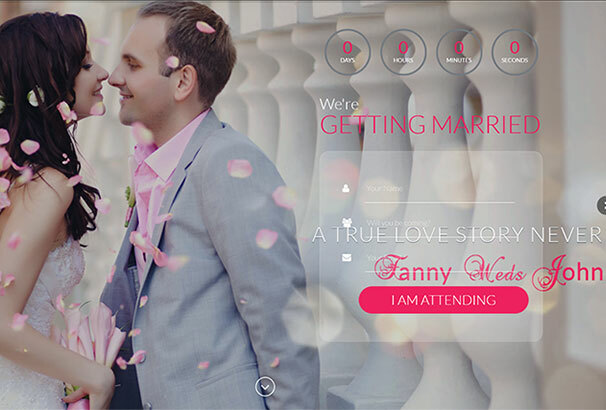 It will be all about you and your future happiness when you choose this fantastic template for your new wedding site. Qaween is a feature-packed WordPress theme that can help build the very best wedding site for you. Highly customizable, this theme is fresh and modern and boasts a wide range of premium quality features. Wedding Suite includes four different templates and comes complete with amazing customizable features including RSVP Form, countdown timer and guestbook. Its streamlined design will allow your precious images and content to shine. Say Yes is a premium and fully responsive WordPress theme with a flexible design that’s ideal for wedding and family blog web sites. Share your happiness with those you love more easily than ever with this great theme. 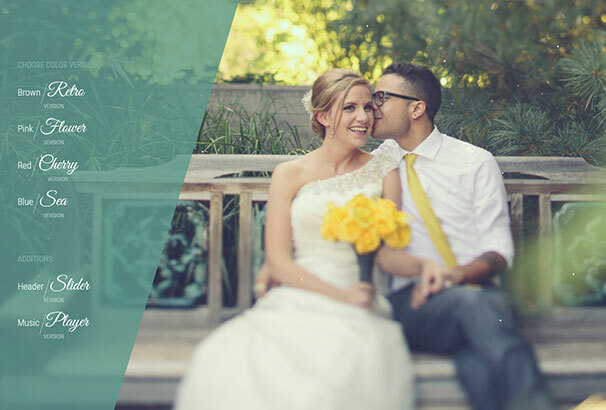 Lily is beautifully handcrafted and fully responsive wedding WordPress theme. Document your journey to happy ever after with a little help from the many features of this stunningly effective template. Neeqah comes equipped with tons of features to make it ultra easy for you to setup your wedding site including an integrated drag and drop feature. 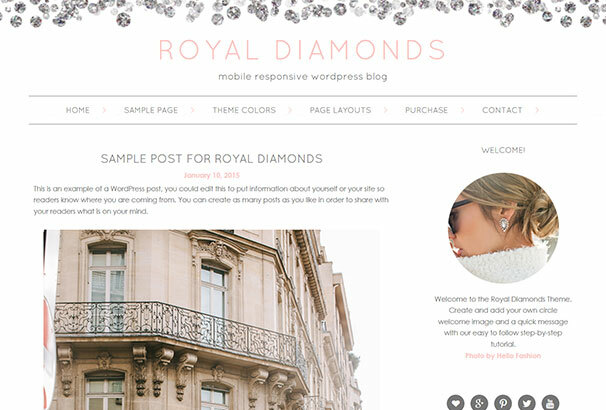 Build your very own beautifully bespoke site with this great template. Amour could be your perfect partner to help count down to your wedding day. Brilliantly flexible features and a focus on contemporary style make this a WordPress template with wide appeal. Vintage chic has never been more in vogue and this theme encompasses that beautifully. This fabulous WordPress theme comes with a fluid grid system that adapts to any viewing environment (mobile/tablet or desktop), 10 Page Templates and 12 Widget Areas and many more highly functional features. This is amongst the top 3 most downloaded wedding themes of all time and you won’t struggle to see why. 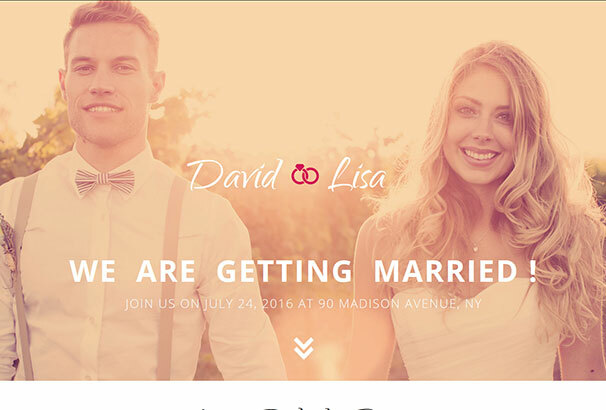 Integrating numerous unique sections built just for weddings such as couple timeline, gift section, RSVP form and more, this template is optimized to perform brilliantly on any browser or mobile device. 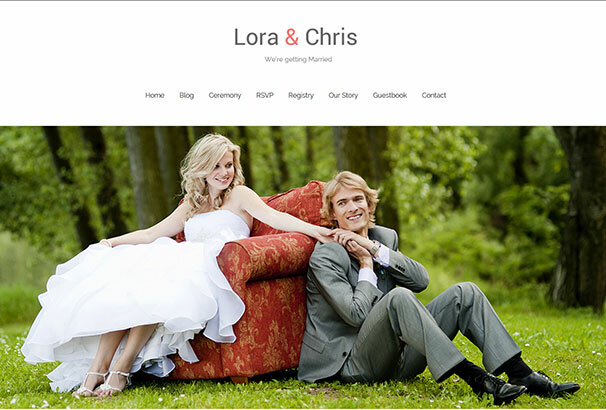 Best Day is clean, flat, and ultra modern one page wedding theme by WordPress. 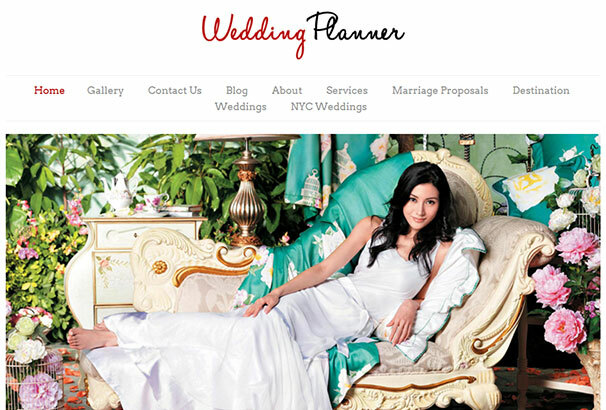 Simplify your wedding site with the help of this quality theme which boasts a range of quality features as standard. You have shared good list. It’s also free wedding theme.